Small moth, of the family of Autostichidae with a wingspan of 11-14 mm, the fore wings are fringed, they are brown black with three transverse bands of color yellowish orange distributed in the area of readice, in the median zone and in the 3/4 to the outside, it is also present a stain, the same color of the bands, near the first quarter of the wing. 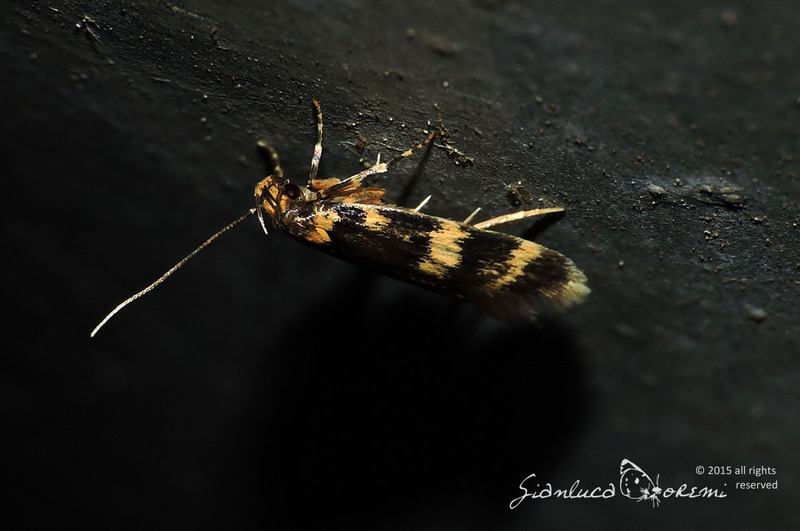 Even the head is yellow / orange, a feature that allows you to distinguish from the two other species,Oegoconia quadripuncta and Oegoconia deauratella. 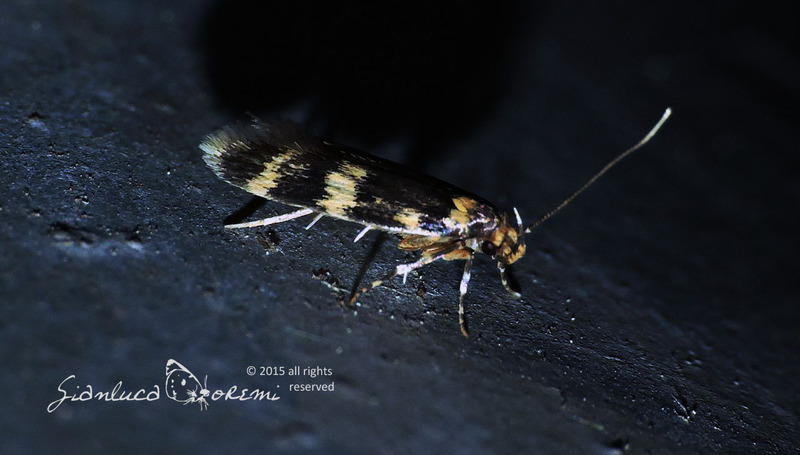 univoltine species, adults are in flight from June to August depending on latitude. Rarely attracted by artificial light. It is known in most of Europe. It is believed that the larvae feed on plant debris, but this hypothesis needs to be confirmed.